Road crossings provide and efficient way to move water across busy streets and highways. Galvanized in accordance with ASTM A385 standards, these 8”, 12” and 18” road crossings are highly durable and able to handle large flows. 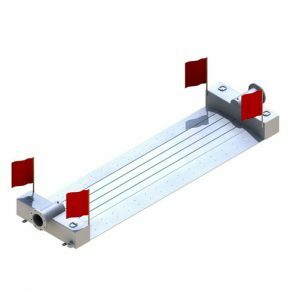 Equipped with DOT safety reflectors and safety flags, road crossings provide increased protection when moving water over busy thoroughfares. 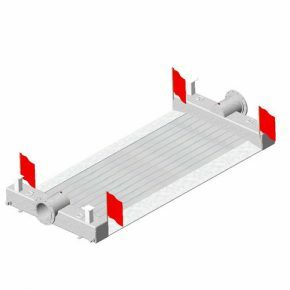 Angled drive-on and drive-off plates make for safe road crossings and are available in 12’ and 20’ widths.